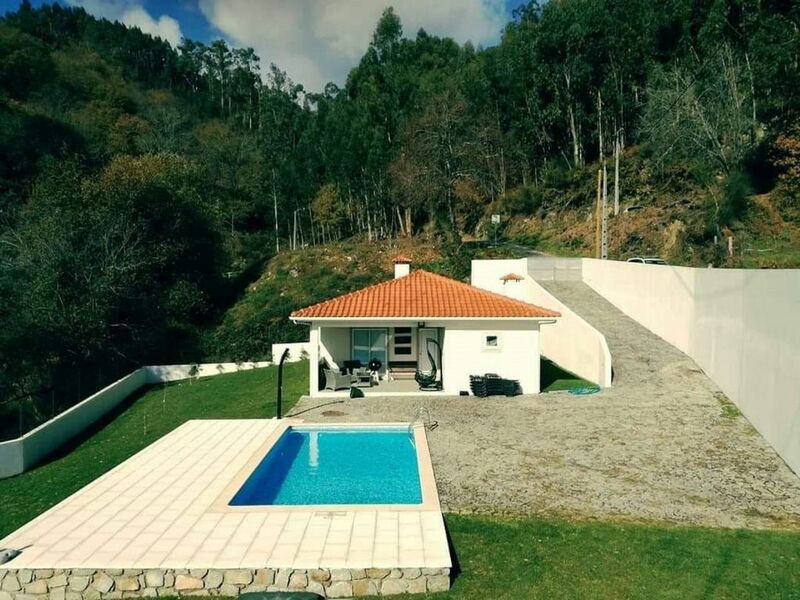 Located in the most beautiful region of Portugal, in the middle of the mountains and 15 km from the best river beaches in the country. Equipped with ample spaces of lawn, fruit trees and swimming pool. Fully equipped house, two bedrooms, full bathroom, kitchen and living room open space style. It has superb views over the surrounding landscape. We are also an excellent starting point to visit the Gerês, the Serra Amarela, walk in the footbridges of the Sistelo, Ponte de Lima, Ponte da Barca, Arcos de Valdevez, etc. Total Area: 1100 m2; Accommodation Area: 90 m2; -2 bedrooms double bed; -Equipped kitchen; -Living room; -2 air mattresses (double); - Full bath (bath); - Private pool C / metal ladder, size 8x4; - Sun loungers, swings, 2-seater sofa, table, 2 single sofas, umbrella and shower; -Gardened lawn; -Barbecue grill; -Parking; Bed Linen & Towels, Combined, Hob, Oven, Microwave, Coffee Maker, Exhaust Fan, Water Heater, Toaster, Magic Wand, SmartTV LCD 4k, Free Wifi. Operator tv MEO, water heater and stove. Bed Linen & Towels, Combination, Hob, Oven, Microwave, Coffee Maker, Exhaust Fan, Water Heater, Toaster, Magic Wand, SmartTV LCD 4k, Free Wifi. Operator tv MEO, water heater and stove.